The Central Coast Regional Water Quality Control Board levied a $495,000 fine Friday against the city of Paso Robles for discharging treated sewage with excessive levels of pollutants into the Salinas River. The violations occurred over a span of nearly three years while the city was upgrading its wastewater treatment plant. 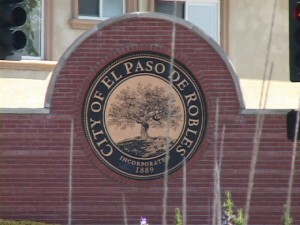 Paso Robles has a federal permit that authorizes the city to discharge treated sewage into the Salinas River. From Oct. 3, 2013 through June 27, 2016, the city city dumped various pollutants into the river that exceeded levels allowed under the permit. California Water Code mandates that the water board issue minimum fines of $3,000 per violation committed by the city. However, a portion of the money the city owes can be diverted to environmental projects that enhance public use of state water. Water board and city officials reached an agreement to direct $255,000 to environmental projects in the Paso Robles groundwater basin. Those projects may include groundwater sampling, supporting sustainable groundwater management efforts or assisting disadvantaged communities with their efforts to resolve drinking water issues. The remaining $240,000 of the fine will go to a cleanup and abatement account. Regional Water Board Chairman Jean-Pierre Wolff said both his agency and the city desire that the pollution of the Salinas River will be offset by improving the sustainable use of the groundwater basin. “Ensuring adequate treatment and control of wastewater discharges to our surface waters is a key component of the board’s responsibility to protect water quality,” Wolff said. “While the city has experienced a very difficult time in complying with its permit’s protective standards, it has also turned a significant corner by upgrading its treatment plant to reduce violations and put the city on a path towards exemplary performance. So we have sewage spreadage everwhere you look !!!!!!!!! !